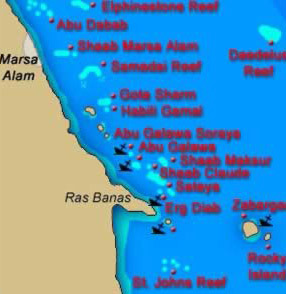 Many modern guides to Marsa Alam describe it as a fishing village on Egypt's Red Sea coast 132km (82mi) from Al-Quseir and 800km (500 mi) from Cairo. However, with a new international airport, a number of other planed tourism projects and many new hotels, it is rapidly becoming much more than a fishing village. 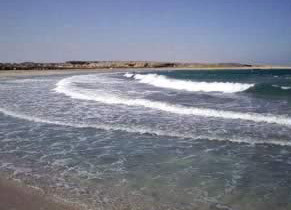 Marsa Alam sits on the T-junction between the Red Sea coast road and the road from Edfu which sits on the Nile river about 230km (142mi) inland. This road, which was probably originally built by Ptolemy II in the Greek period, passes through some historic landscape where the ancient Egyptians mined much of their gold. Several gold mining operations are known. Just off this road are found two areas, called Wadi Barmiya, and about about 30 kilometers further into the mountains. Wadi Baramiya extends into another larger Wadi named Miya, where a temple was built by, among others, Seti I. Both areas were probably gold mining communities. 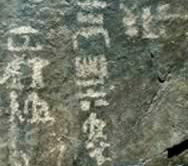 In addition, a wealth of rock inscriptions from as early as the predynastic period may also be found along this route near Marsa Alam. Here, the smooth rock faces were an ideal canvas for ancient graffiti, which dates from the earliest times right up until the present. The ancient graffiti depicts animals, including giraffes and cattle, but also includes hunting scenes, such as an ostrich hunt with dogs. Unfortunately, with the expansion of this road, many if not all of these inscriptions will be soon lost. While this road in ancient times was used for the gold mining trade, archaeologists believe its main use was as a trade route between the Nile Valley and the Red Sea where an important ancient port was located. 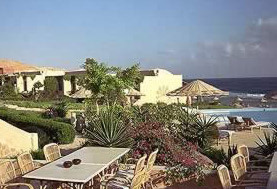 The weather in Marsa Alam is generally comfortable. Even in summer, when the weather can reach approx. 104 F (40 C), the refreshing breeze from Red Sea cools down the the coastline. During the winter months the tempurature can drop to 57 F (14 C) in the evening, but during the day continues to be a pleasant 73 F (23 C). Resorts such as Port Ghalib, Dreams Beach and Resta Grand offer a variety of excellent accomodations sure to please visitors of all ages, making it a great destination for a holiday getaway. Port Ghaleb is a state of the art resort, including both a 1,000 berth marina and port, with a dock-side harbor, yacht club and spa, along with a highly animated town center and a corniche around the marina area. On the corniche are shops, galleries, boutiques, restaurants and bistros, nightclubs, discos and a casino. With sheer walls plunging down to over 70 meters, Elphinstone Reef is the mythic dive site of the south. 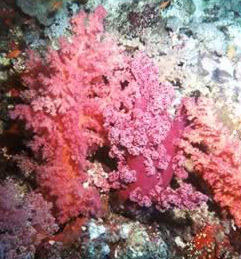 The walls plunge deep into the blue, richly decorated with soft, bright pink, red, white and brown corals, sponges, gorgonias and fans. Pelargics often swim by the spot to feed on the abundant reef fish population, but many other species, including dolphins, fusiliers, jacks, snappers groupers and wrasse may also be seen. The northern plateau is home to schooling hammerheads with frequent sightings of oceanic gray white tip sharks, along with Barracuda, numerous big Jacks and even Tuna. A group of six reefs where the famous liveboard, Heaven One can be found. 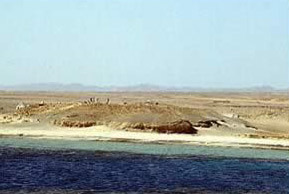 Large reef in front of the last southern civilian town on the Egyptian coastline. Corals gardens formed near huge coral blocks 'porites' and shoals of banners, goatfish, snappers and jacks. A horseshoe shaped reef creates a shallow turquoise water lagoon where a large herd of spinner dolphins live permanently. Others often show up around noon for a rest and to teach their babies how to hunt. Several dives are found on its outer walls. The western tip provides a large group of pinnacles rising to the surface from a carpet of sea grass, populated by schools of reef fish. Big reef with big walls, hammerhead and grey reef sharks in summer, malabar grouper, baracudas, and schooling reef fish the rest of the year. Currents, soft corals and giant fans. Habili Gamal No Information available at this time. Good dives on both north and south plateaus, with strong currents which favour the growth of all types of coral, inclucing black, soft and fans. Sharks, napolean and tuna fish. Shaab Claude No Information available at this time. Enormous mountain coming out of the water surrounded by a lagoon and circling reef, . A couple of wrecks and some decent diving with a great variety of both corals and reef fish. In addition, the island itself was most probably mined by ancient Egyptians for precious stones. Wadi el Gemal, or Valley of the Camels, is a unique experience to view the desert's attractive wildlife, flora and fauna. Hiking, quad and camel riding are all great options for exploring this mysterious terrain. After, you can visit Marsa Abu Dabab, where the party is happening and you can dance the night away at one of the various discos or sip on a cold beer and relax on the beach. The international airport provides visitors with easy transportation to and from Marsa Alam. There are frequent affordable flights from Germany, Italy and Austria among others. Other cities you can easliy reach from Marsa Alam are Quseir and Hurghada.